We have to see the world with better view. As much as we can Google the good, clean environments around the word, we can also see the bad and intoxicated side. This prophecy is becoming more and more brutal reality. But, even today, not every person is aware of the horrible effects our lifestyles have on nature. So share these evocative pictures with everyone. 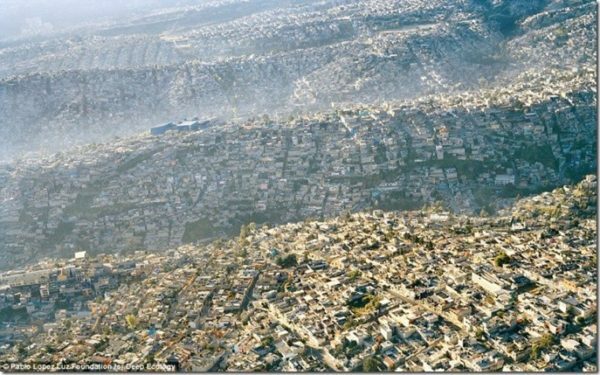 1 – THIS IS A PICTURE OF THE OVERDEVELOPED METROPOLIS OF MEXICO CITY WHICH HAS OVER 20 MILLION RESIDENTS. 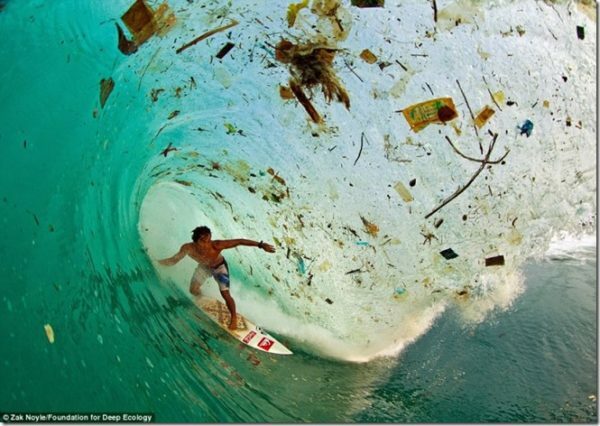 2 – THIS WAVE IN INDONESIA SHOWS THE EXTENT OF DEBRIS AND TRASH IN OUR OCEANS. 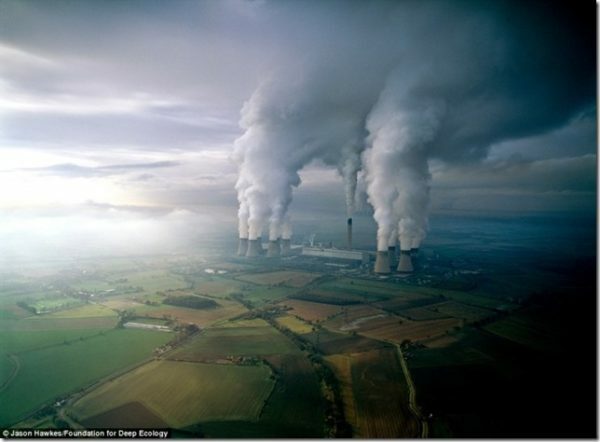 3 – A LIGNITE POWER PLANT EMITTING TONS OF POLLUTANTS INTO THE AIR. THE SAD THING IS THAT LIGNITE, WHICH IS SIMILAR TO COAL, DOESN’T EVEN PRODUCE THAT MUCH HEAT. 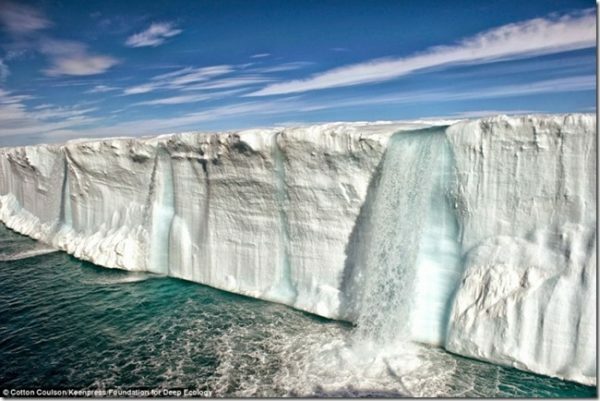 4 – THIS WATERFALL IS ALL DUE TO ICE MELT FROM GLACIERS. PROOF THAT CLIMATE CHANGE IS HAVING A DRAMATIC EFFECT ON NATURE MUCH FASTER THAN MOST PEOPLE THINK. 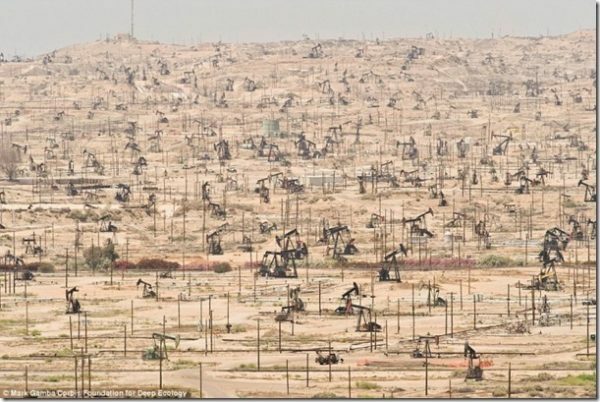 5 – THIS IS AN OILFIELD IN CALIFORNIA. A PRIME EXAMPLE OF HUMANS SELFISH NEED TO SQUEEZE EVERY LAST DROP OF PROFIT OUT OF THE EARTH. IT SADDENS ME THAT THIS MAY HAPPEN TO THE BEAUTIFUL GREEN PASTURES OF NORTH DAKOTA, WHERE A CURRENT OIL BOOM IS TAKING PLACE! 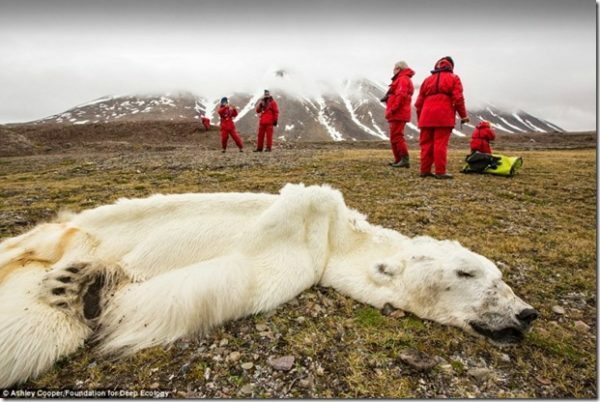 6 – THE CARCASS OF A POLAR BEAR IN SVALVARD, NORWAY WHO STARVED TO DEATH DUE TO THE DISAPPEARING ICE CAPS CAUSED BY GLOBAL WARMING. POLAR BEARS DEPEND ON THE ICE IN ORDER TO HUNT. 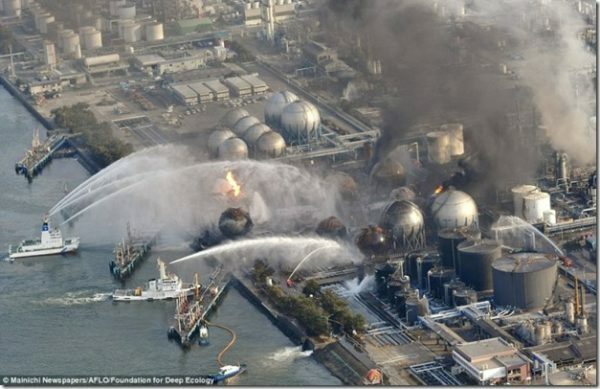 7 – A HEAT AND POWER STATION BURNS NEAR FUKUSHIMA WITH LITTLE EFFECT FROM EFFORTS TO PUT THE FLAMES OUT. 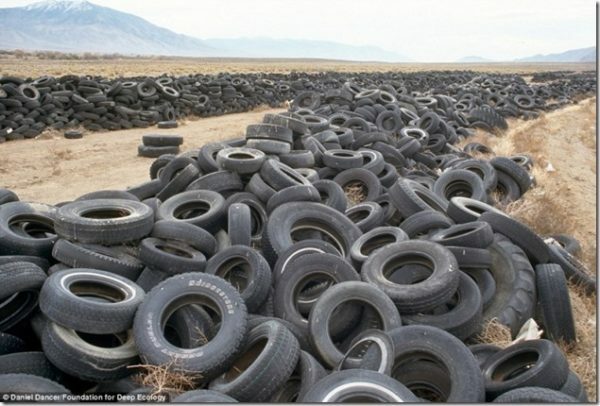 8 – LANDFILL OF TIRES IN THE DESERTS OF NEVADA. TIRES POSE A DANGER TO THE ENVIRONMENT BECAUSE OF DANGEROUS TOXINS RELEASED WHEN THEY DECOMPOSE AND ALSO WHEN THEY ARE INCINERATED. WE NEED TO SUPPORT COMPANIES WHO RECYCLE OLD TIRES INSTEAD OF LETTING THEM WIND UP IN LANDFILLS. 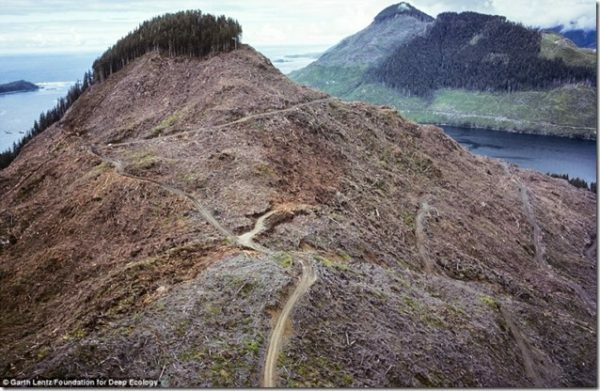 9 – DEFORESTATION IN CANADA. IT’S SO SAD TO SEE WHAT REMAINS WHERE ONCE BEAUTIFUL FORESTS THRIVED. 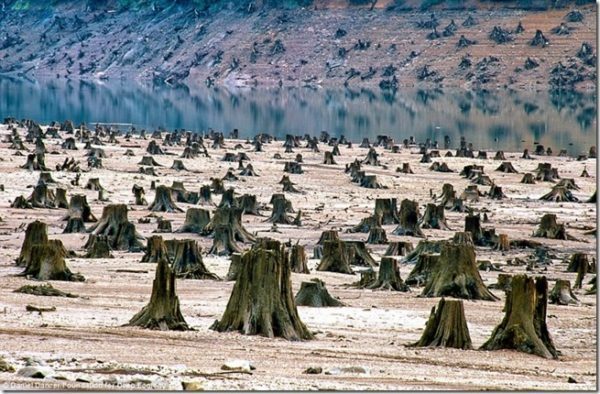 WE ARE JUST STARTING TO FEEL THE EFFECTS THAT DESTROYING THOUSANDS OF YEARS OF PLANT LIFE WILL HAVE ON US. 10 – OUT WITH THE OLD, IN WITH THE NEW. A PILE OF OLD TECHNOLOGY THAT HAS BEEN THROWN ASIDE BECAUSE IT’S OUT OF DATE. 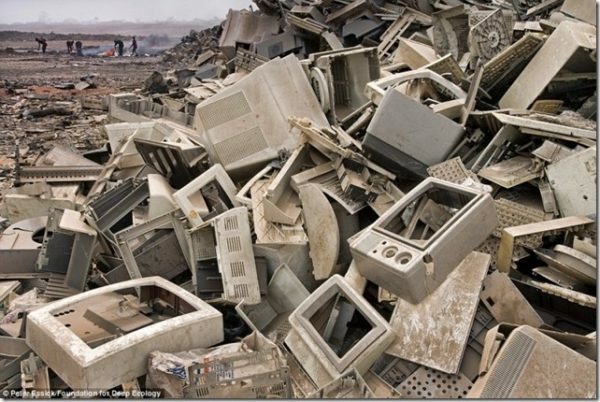 NOT ONLY DO THESE DISCARDED MONITORS AFFECT THE ENVIRONMENT BUT THE METALS ARE STRIPPED FROM INSIDE WITH HARMFUL CHEMICALS. 11 – THE GREED OF THE CONSUMER IS NOT ONLY KILLING THE ENVIRONMENT, BUT EACH OTHER. 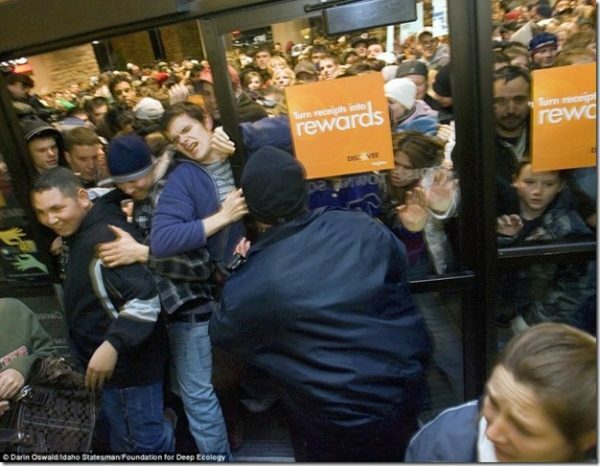 THIS IS A PICTURE OF THE BLACK FRIDAY RUSH AT AN ELECTRONICS STORE IN IDAHO. 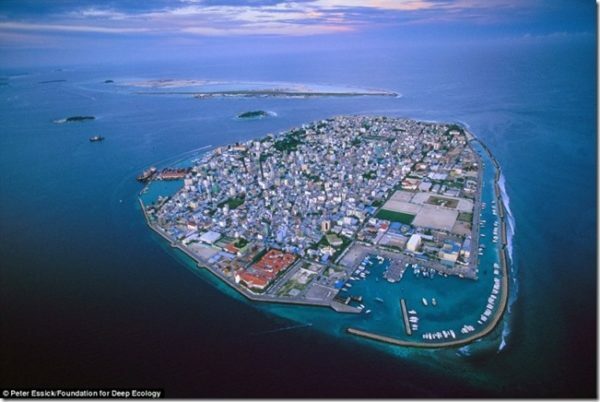 12 – THIS MALDIVES ISLAND IS BEING THREATENED BY RISING SEA LEVELS. 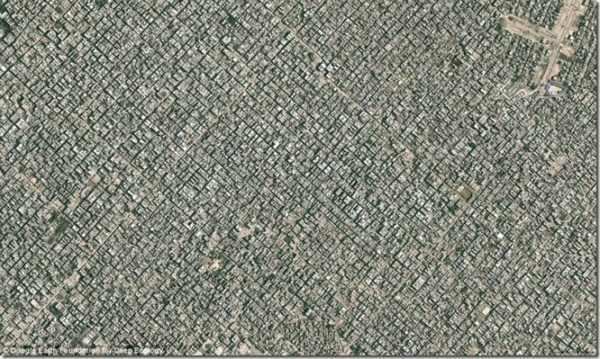 13 – THIS IS A BIRD’S EYE VIEW OF NEW DELHI, AND ITS 22 MILLION INHABITANTS! 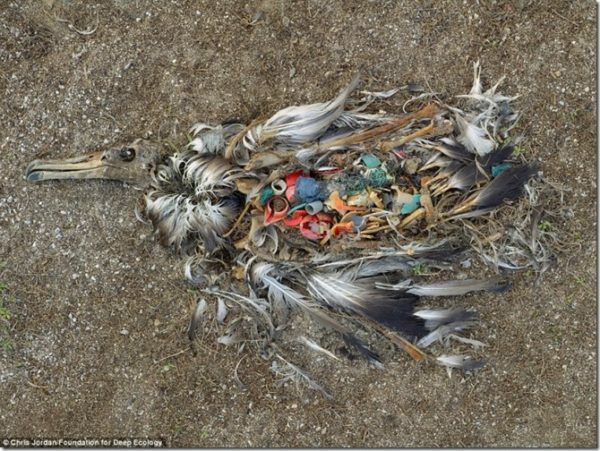 14 – IN THE REMAINS OF A DECOMPOSING ALBATROSS, WE SEE WHAT HAPPENS TO MUCH OF OUR LITTER. 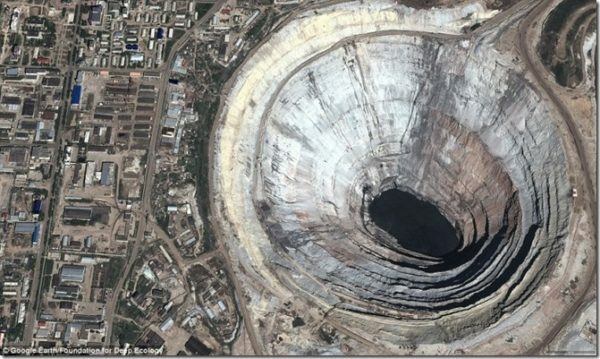 15 – THIS IS THE MIR MINE, THE LARGEST DIAMOND MINE IN THE WORLD LOCATED IN RUSSIA. WHEN YOU SEE THE BEAUTY IN A STONE, LIKE THE DIAMOND, YOU NEVER THINK OF THE DESTRUCTION CAUSED TO THE EARTH THAT WENT INTO SEARCHING FOR IT. 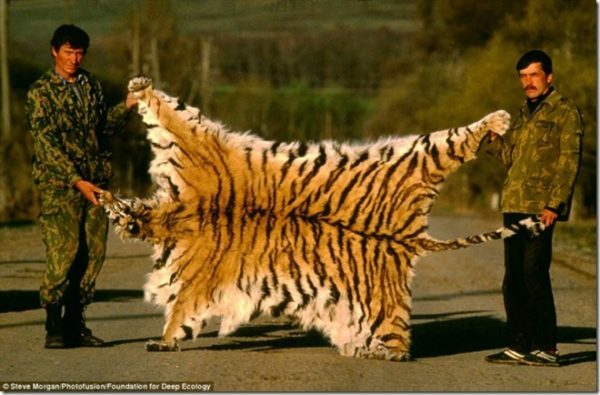 16 – SIMILAR TO THE AFRICAN ELEPHANT, WILD SIBERIAN TIGERS ARE IN DANGER OF EXTINCTION. APPROXIMATELY 97% OF THE SPECIES HAS BEEN WIPED OUT BY POACHING IN THE LAST CENTURY. THERE ARE FEWER THAN 3,200 LEFT IN THE WORLD TODAY. 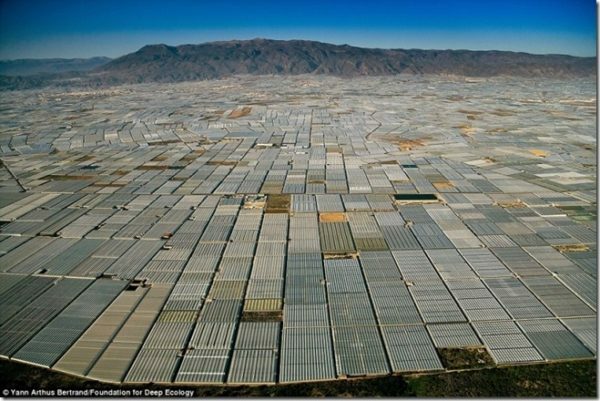 17 – THESE ARE GREENHOUSES AS FAR AS THE EYE CAN SEE NEAR ALMERIA, SPAIN. 18 – A FOREST THAT HAS BEEN IN OREGON FOR OVER A THOUSAND YEARS WAS DEVASTATED WHEN IT WAS DECIDED THAT A NEW DAM WAS NEEDED IN THIS AREA. JUST THINK OF THE ANIMALS THAT LOST THEIR HOMES BECAUSE OF THE SELFISHNESS OF MANKIND. 19 – DOWNTOWN LOS ANGELES. 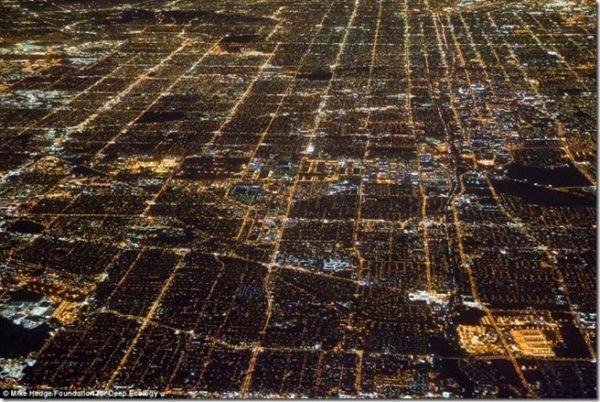 THE ENERGY CONSUMPTION IN SUCH DENSELY POPULATED CITIES IS UNIMAGINABLE. JUST THINK THE IMPACT THEY COULD HAVE ON THE ENVIRONMENT IF EVERYONE IN LA WOULD REMEMBER TO TURN OFF THEIR LIGHTS WHEN THEY LEAVE THE ROOM. 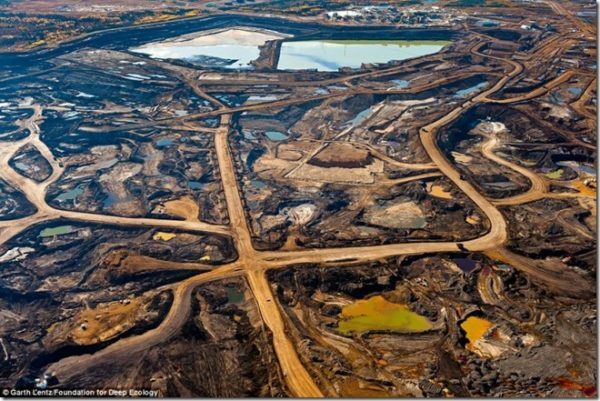 20 – THE RESULTS OF OIL SAND MINING. 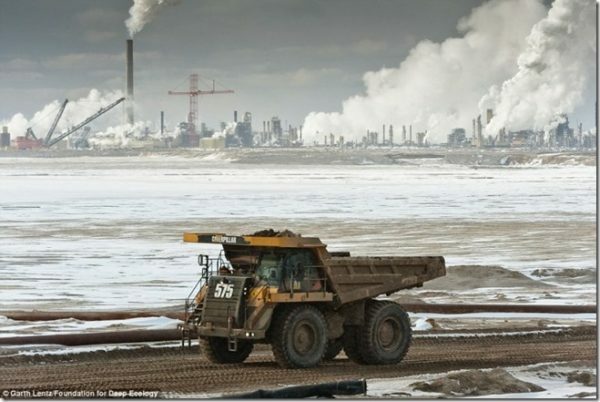 THIS IS IN ALBERTA, CANADA BUT THAT IS NOT THE ONLY PLACE THEY MINE FOR OIL SAND. 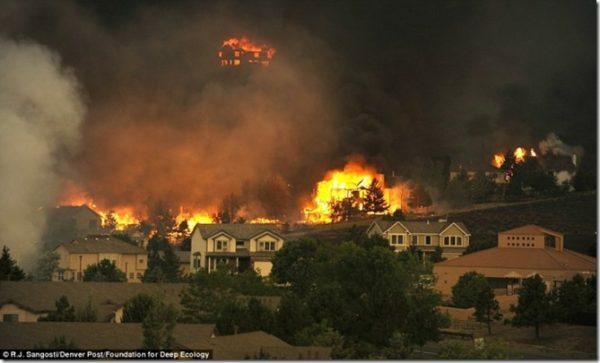 21 – A FIRE IN COLORADO TAKES DOWN EVERYTHING IN ITS PATH. INCREASED WILDFIRES ARE A DIRECT RESULT OF CLIMATE CHANGE. 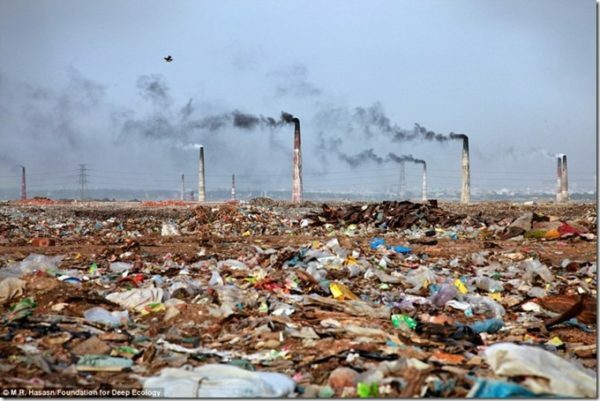 22 – THIS IS A WASTE INCINERATION PLANT NEAR BANGLADESH. THESE PLANTS ARE A VIABLE OPTION TO DEALING WITH OUR TRASH, HOWEVER THEY CAN EMIT HARMFUL POLLUTANTS INTO THE AIR THAT CAN AFFECT HUMAN HEALTH. IT’S IMPORTANT THAT WE RECYCLE IN ORDER TO LIMIT WHAT GOES INTO THE INCINERATORS. 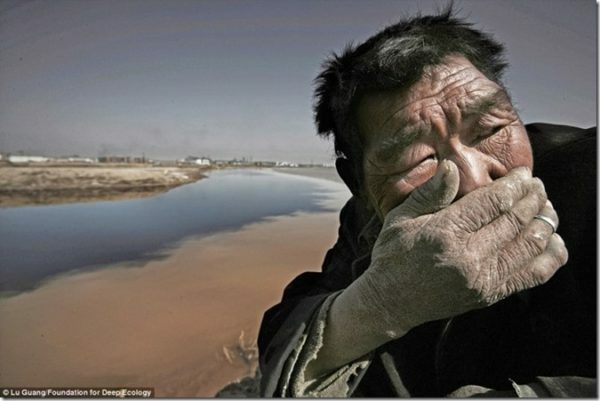 23 – THIS IS A HERD FARMER IN MONGOLIA WHO CANNOT STAND THE SMELL OF THE YELLOW RIVER WHICH IS SO BAD THAT ITS POLLUTION CONTENT IS 100 TIMES HIGHER THAN THE NATIONAL STANDARD. THIS POLLUTION CAN BE ATTRIBUTED TO THE WASTE WATER EMITTED BY THREE NEARBY PAPER MILLS AND A CHEMICAL PLANT NEAR THE RIVER. 24 – THIS HAUL TRUCK IS LOADED WITH HUNDREDS OF TONS OF OIL SAND. OIL SAND IS SAID TO BE THE ENERGY SOURCE OF THE FUTURE, HOWEVER HARVESTING THIS OIL SAND IS A LEADING CAUSE OF DEFORESTATION AND IS THE LARGEST CONTRIBUTOR IN NORTH AMERICA TO CLIMATE CHANGE. 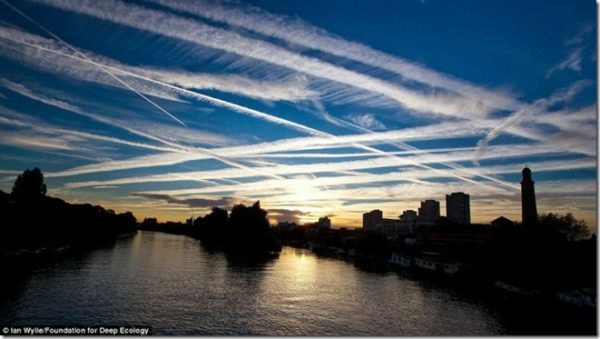 25 – THIS IS A PICTURE OF THE LONDON’S SKY’S WHICH SHOW HOW MUCH AIR TRAFFIC THEY GET DAILY. IT IS REPORTED THAT AIR TRAFFIC IS RESPONSIBLE FOR OVER HALF OF THE POLLUTION CAUSED BY TRANSPORTATION, ACCORDING TO A REPORT RELEASED BY THE UN. 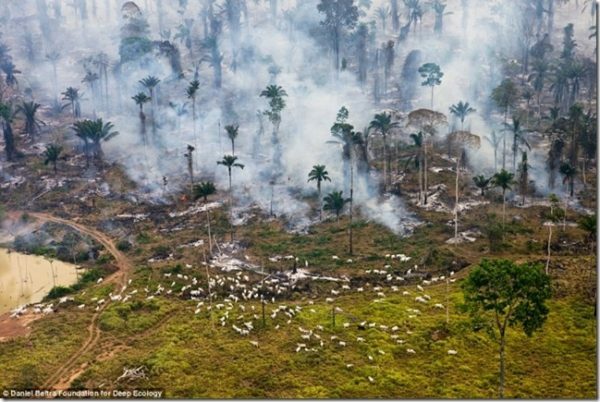 26 – THIS IS THE RAINFOREST GOING UP IN FLAMES, WHICH IS DRIVING OUT A HERD OF GOATS THAT USED TO GRAZE IN THE RAINFOREST. DID YOU KNOW THAT SCIENTISTS BELIEVE THAT 70% OF ANTI-CANCER PLANTS COME FROM THE RAINFOREST? IT IS IN HUMANITY’S BEST INTEREST TO PROTECT THE RAINFORESTS! 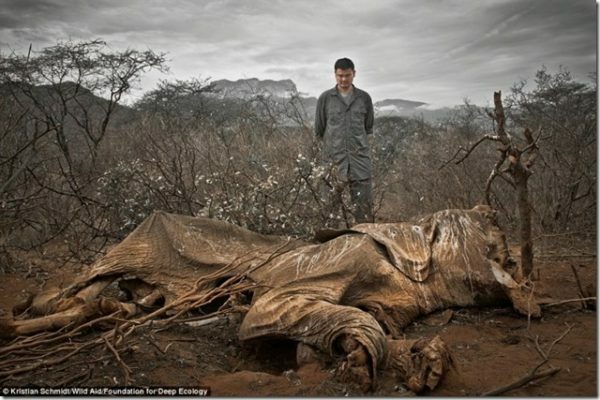 27 – THIS ONCE BEAUTIFUL ELEPHANT WAS KILLED FOR HER IVORY AND HER BODY WAS LEFT TO ROT. BETWEEN POACHING AND LOSS OF HABITAT THE AFRICAN ELEPHANTS ARE IN SERIOUS DANGER OF EXTINCTION. IN LESS THAN 100 YEARS, THE ELEPHANT POPULATION HAS GONE FROM 4 MILLION ELEPHANTS TO ABOUT 500,000 ELEPHANTS LEFT IN THE WORLD TODAY, AND MORE AND MORE ELEPHANTS ARE KILLED DAILY. MAKING IT ILLEGAL TO BUY IVORY HAS ONLY INCREASED THE VALUE BECAUSE IT IS MORE RARE AND PEOPLE COVET RARE PRODUCTS. WE NEED TO STOP THE DEMAND FOR PRODUCTS MADE OF IVORY BECAUSE WHERE THERE IS NO DEMAND THERE IS NO REWARD FOR HARVESTING IT FROM ELEPHANTS.